Valentino Rossi, will come to Indonesia. Valentino Rossi will go to Bali this week. 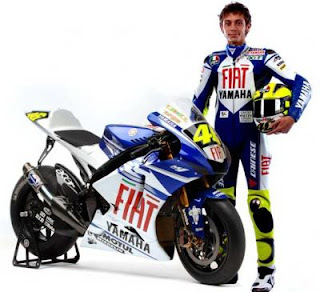 Valentino Rossi will follow several events that have been compiled by Yamaha Indonesia. Valentino Rossi will be in Bali to attend a national meeting of the main dealer and the dealer at the beginning of the year, organized by PT Yamaha Indonesia Motor Manufacturing (YIMM) and Yamaha Motor Company (YMC) of Japan. He will also meet consumers loyal Yamaha, Yamaha community, and Yamaha Racing rider Indonesia. Previously, Rossi and Lorenzo are already present in the launch of the 2016 YZR-M1 will be used for MotoGP in 2016 in Spain. Rossi admitted very close to Indonesia, and his visit to Indonesia is always special. He also had never come to several major cities in Indonesia, namely Jakarta, Surabaya and Medan. Indonesian fans are very special for Valentino Rossi. Valentino Rossi will provide the best capability to thank the fans to win as much as possible this season. Rossi's arrival is a form of Yamaha Indonesia appreciation to the people who love him, and to always have a strong emotional attachment to the Yamaha. After visiting Indonesia, Rossi will join the other MotoGP riders to undergo first pre-season official test at Sepang, Malaysia, February 1 to 3.